The word ‘truth’ seems to be thrown around a lot. When I was a kid we could actually watch the news and get the ‘truth’ on what was going on in the world. I mean, who didn’t trust, David Brinkley or Dan Rather? How could we ever forget the picture of Walter Cronkite in tears as he reports on the death of President Kennedy. There was a bond between us and the people we saw every night on the news. Not so much now. The truth these days is very flexible. You are presented with a wide variety of information 24/7, but not always truth and not always information you need. You have allowed yourself to become distracted by media and a variety of people who have no other interest than to make themselves known to you, and actually have no value in your life what so ever. This is not necessarily a bad thing. I live in a remote area and I enjoy having my connection to the world, 24/7 and certainly, have met some wonderful people through the internet. The dilemma is not the flood of information, it is what you choose to do with it. Each of us planned to be here, at this time, to experience the changes in energy as they take place on this planet. It is the rise of what is called the ‘Feminine Creative Energy’, creating a balance of Yin and Yang. Meaning, it has been a patriarchal world based on those with the most guns or money has the power. 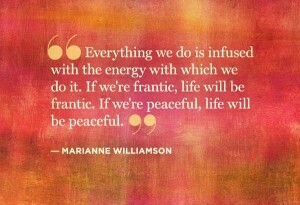 Now with the Feminine Energy rising things are moving to love, integrity and intuition, more balance. Whether you believe that the energy has risen, creating a higher frequency on Earth, is really of no consequence, because with or without you the frequency has changed. Each person now has an opportunity to also rise in energy and frequency, and therein lies the problem. This higher energy causes you to have to come to terms with the good, the bad and the ugly about yourself. The ‘feminine’ energy is an energy of integrity, being honest with yourself and others. You are literally caught in a time frame that requires you to see the truth, and most of you have no idea how to do that. Nothing in your upbringing, your politics or religion has prepared you for the experience of this higher frequency, and realizing what your truth is. As a child, you were taught to believe in mythical beings, Santa, Easter Bunny, and let’s not forget the religious books and stories. You were also taught that it is good to follow the rules and fit in, do as you are told. There are laws and reasons for all these things. You have this flood of information telling you who you are, what you should wear, how you should be, what you should believe. Many of you are so lost you have chosen to follow and be the ‘sheep’, after all it’s just easier. The ‘truth’ has been distorted from the beginning of time. The ‘powers that be’ have been trying to keep a lid on your empowerment for centuries. Believe it or not, religious leaders decided to make a set of rules for humanity to follow because it kept people from being empowered and made it easier to control the masses. Before this, however, the understanding was that each human was one with the Light and had the power and capability to overcome any limitation. Thoughts like this were later called heresies, basically going against the will of the church. So fast forward to the present moment, the idea of keeping people down, whether with religion or politics, keeping us separate from each other and blaming one race or religion is still used today to indoctrinate the masses, that my friend is you! The more angry you are, the more you hate and blame others, the more you separate yourself from humanity. When you allow this doctrine to control you, you are actually hiding from the ‘truth’ that you feel powerless and hate yourself. Time for you to wake up! 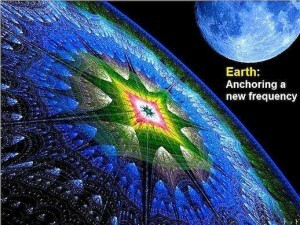 Now the energy is shifting again in this higher frequency. What are you going to do with the uncomfortable feeling that you have, the loneliness that over comes you, the powerlessness? Many have chosen to take up their guns and prance around like they have this system all figured out. They are scared and stroking their own egos by intimidating others weaker than them. They are adult bullies trying to feel power that has never been theirs. There is leadership in the ‘powers that be’ that promote this. I must say, I am shocked at all the lost souls willing to make hatred a way of life, they have found an outlet for their anger and powerlessness. 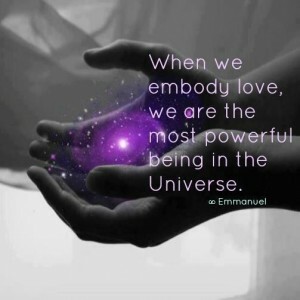 Love is our natural connection to Source, it is within each one of us. Kindness, sharing, acceptance no matter race, religion, sexual orientation, is the true path to change and peace. This too, has finally been coming to the forefront.The more love sent out, the more love will be created to change the world. You don’t hear about that very much, because the ‘powers that be’ are scared of losing control. 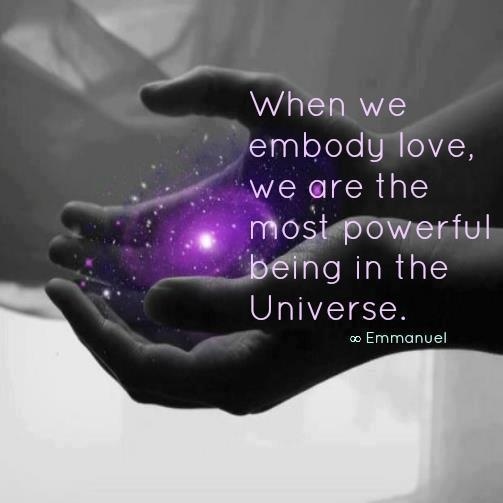 Many of you have seen the Light of Love and the energy of oneness for us all. Many of you have been making the journey to be in integrity with yourself. You have overcome your demons and understand that Love is the only real way to change things. We will feed the world with real food, we will take care of the poor without judgement, and as spoken by a very famous prophet, take care of the least among us. Slowly but surely the momentum is growing, and it is more powerful than you can imagine. The gift of honesty and love, with an understanding of our oneness, is being shown in a amazing person on the political scene, Bernie Sanders, even the Pope has endorsed him. This is not a political ad, it is stating facts. When Jesus showed up and chased the money changers from the temple and declared what power he had is the power we have, the ‘powers that be’ crucified him……In our day the wholly owed corporate media has been trying to ignore and hide Bernie’s ideas. But people are responding in droves. The Divine timing has arrived. Whether Bernie wins or not, whether you like him or not isn’t the issue. The point is, he is showing that things can be done differently, that it is not about him but about us, ‘we the people’ and how much we are willing to receive and change things when we work together. Think about it, my friends, what kind of world do you want to live in? A world of helping each other to prosper and we all prosper. Let’s put away the rhetoric and embrace the natural order of all things…… LOVE! Love for our planet, ourselves and each of our Human neighbors. 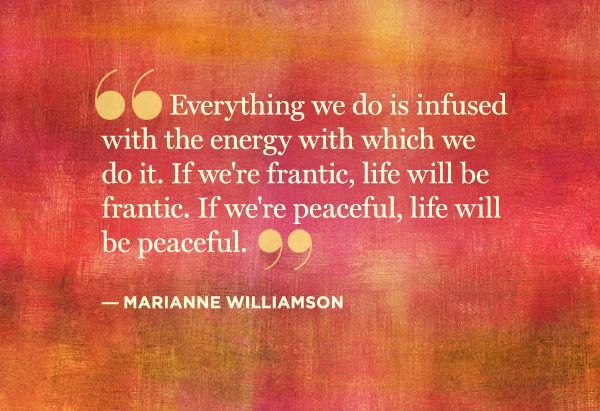 There is power in this energy when we release ego and focus on love, joy and gratitude. Well done, blessings Humans, you are doing great and the Universe has got your back. You have the power, now use it to change the country and the world and your own life!.